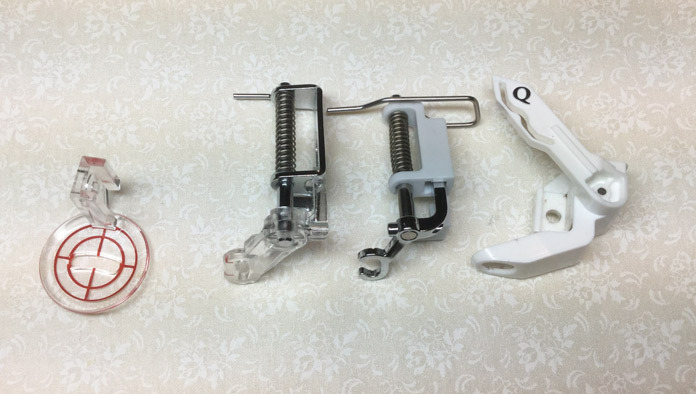 In yesterday’s post, let your walking foot work its magic we explored some of the possibilities for quilting with a twin needle and our walking foot. Today we’ll have some fun with free motion quilting. Here we go! Free motion quilting is a technique that puts us in the driver‘s seat to steer the fabric where we want it to go. The feed dogs on the machine are normally dropped or covered and a darning foot is placed on the machine. This allows us to move our fabric in any direction as well as control the stitch length just by how we move our hands. 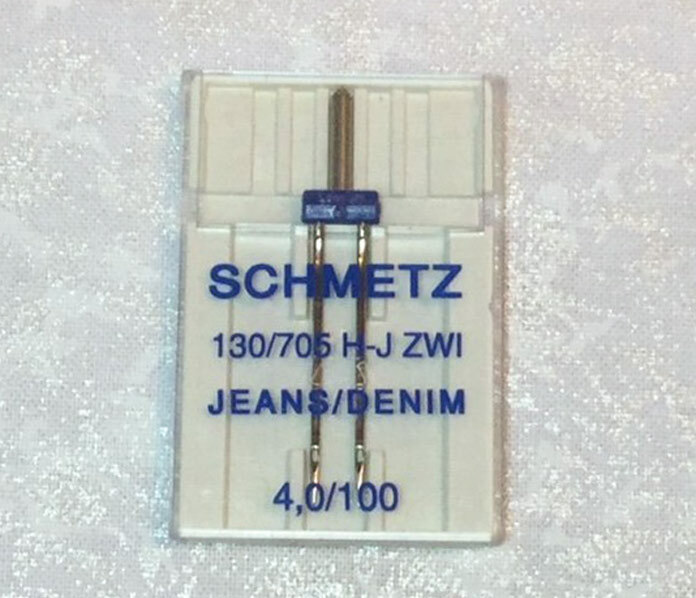 It’s amazing what our SCHMETZ twin needles are capable of with a little help. There are a wide variety of darning feet available for most machines. A closed toe foot is preferred for use with a twin needle as it protects the needle better than an open toe foot. Smooth hand movement is required when using a twin needle to free motion quilt. We must be careful not to allow the weight of the fabric to drag or twist and turn the fabric while we stitch. 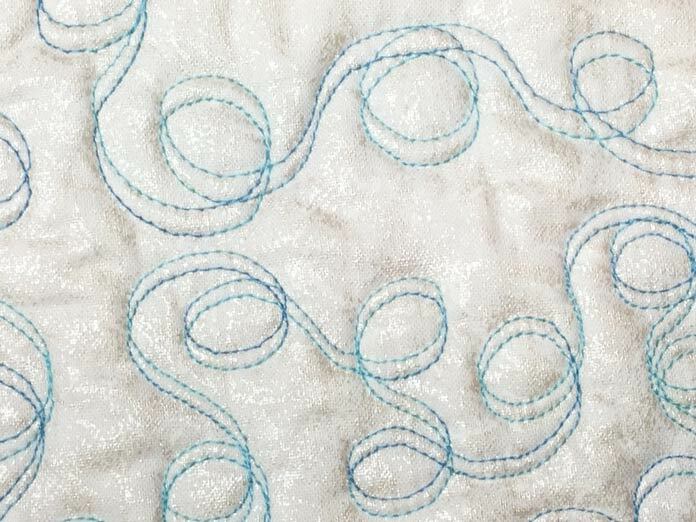 While it’s easier to begin with a wide spacing between the needles for straight line stitching, the opposite is true for free motion quilting. 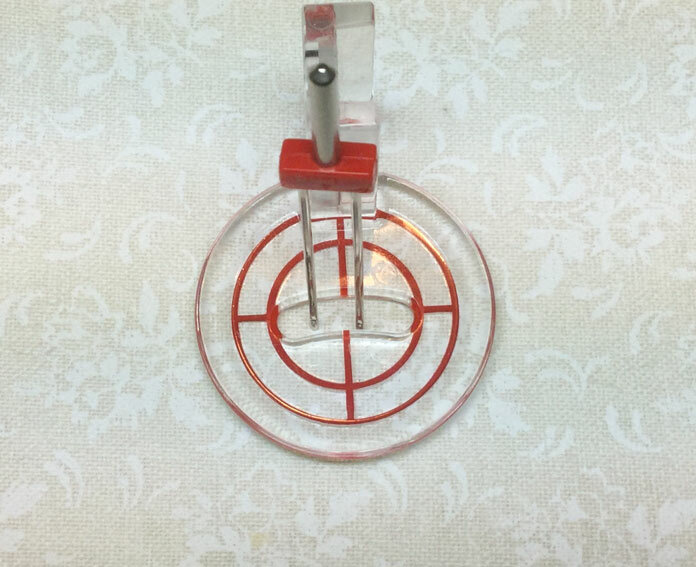 A narrower 80 or 90 needle is the easiest to use. For that reason it’s best to start with a 2.5 universal twin needle. Before you begin always check to be sure that your chosen twin needle will clear the opening in the foot. Check to be sure your twin needle will clear the opening in the foot. Make sure that your machine is threaded properly with any internal settings set. 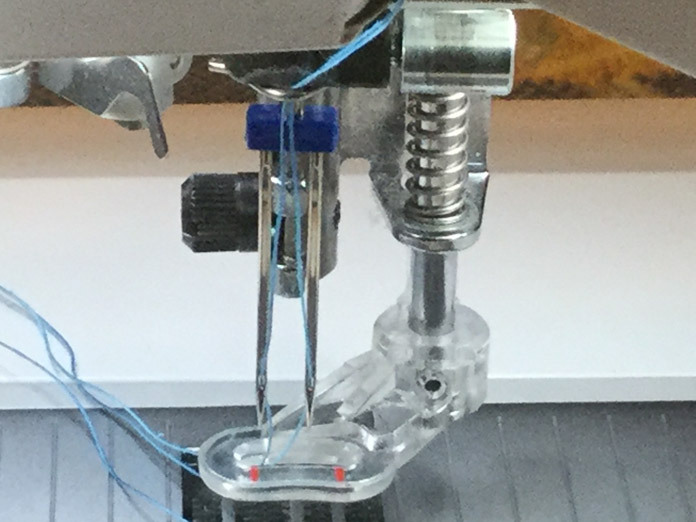 The needle threads should be through the foot and laid towards the back of the machine. What makes free motion twin needle quilting so different? Circles that wander all over your fabric are called Loop de Loops. Stitching loops is great way to begin. Notice that when you move the fabric in a forward or backward motion the space between the stitching is consistent with the distance between the needles. When you move your hands from left to right the two needles stitch on top of one another giving the effect of a single thread. If you move your hands in a circular motion the distance between the needles seems to change as the threads cross over one another. 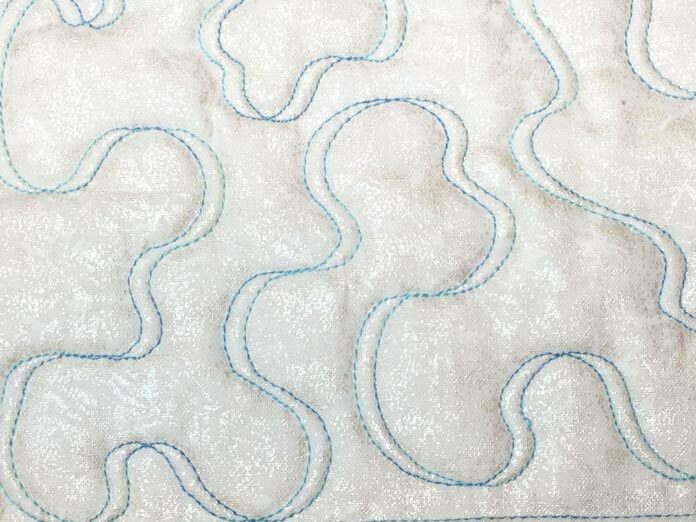 What is free motion quilting and can I really do that with a twin needle? 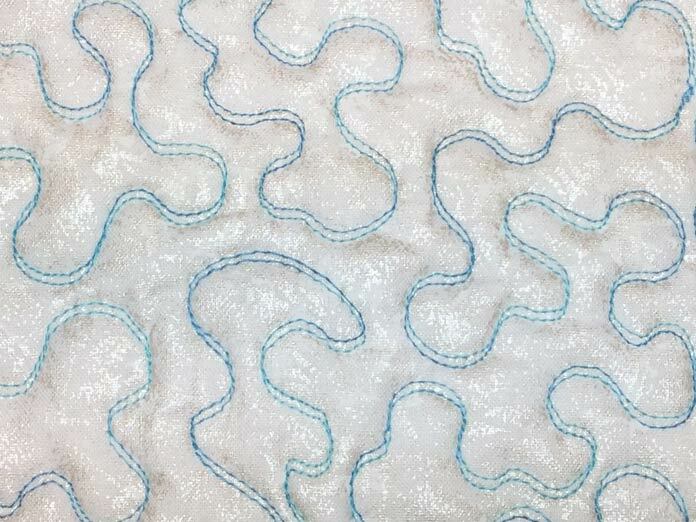 Ribbon stippling is normally created by stitching your quilt twice. The first line of quilting establishes the pattern while the second line of quilting mirrors the first. Crossing over the first line of stitching causes the ribbon effect. All of this occurs naturally with a twin needle and we only have to stitch the design once. Once you’re comfortable with your hand movement you can switch to a wider spacing between the needles. A 4.0 twinneedle really accents the ribbon effect in many patterns. More detailed patterns are easier to stitch with a narrow spacing between the needles. A 1.6 needle easily stitches the most complex designs. Detailed designs are easier to stitch with a narrow space between the needles. Square stippling is the more modern cousin of our traditional stippling. 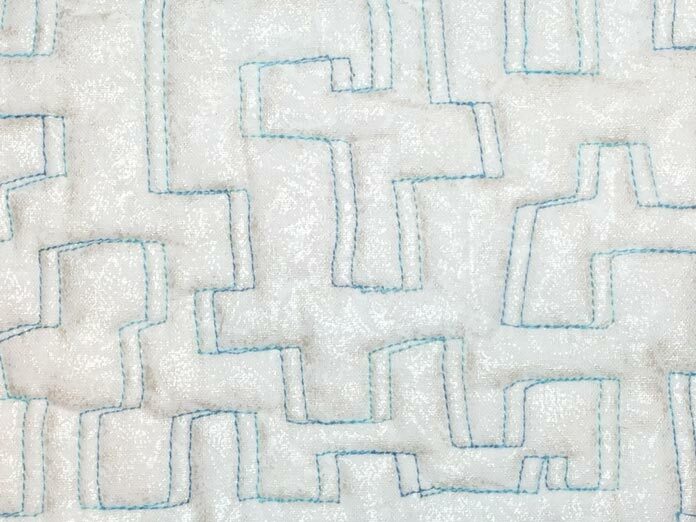 Lines and corners don’t have to be perfectly straight for this playful kind of quilting. 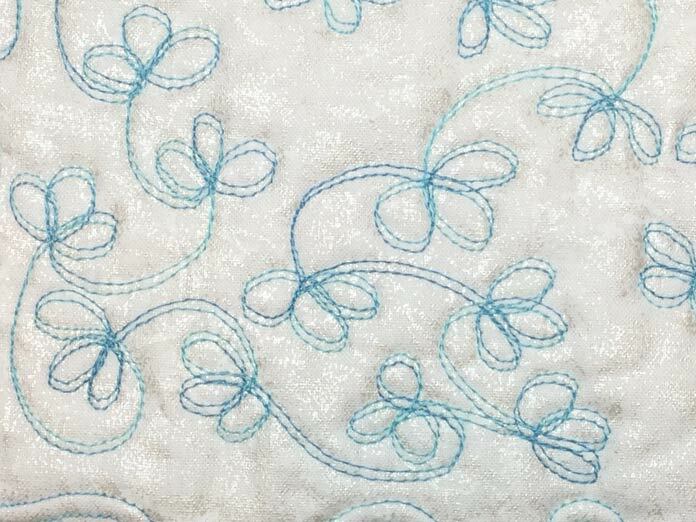 Have lots of fun practicing your free motion quilting with your SCHMETZ twin needle. Join me tomorrow for the modern flair of twin needle quilting as we see just how many ways we can make use of the way the back of a twin needle stitch is formed. I love the look of the twin needle , so many possibilities. Thanks again for another great tutorial. Now I must go and play. You are absolutely correct, the possibilities are endless. I’m so glad that you’re having fun! This opens up a whole new world of WFQ for me. Thanks! I’m going to try this, I’m wondering what it will look like on the back? i Took a class from Julie at Quilt Canada 2017 and have had fun with my walking foot techniques. Hi Carolyn. I’m glad you’re enjoying your quilting with a walking foot! Check out the post “The modern flair of twin needle quilting – embrace the zigzag” on day four of this series to see the beautiful and versatile effect created by the bobbin thread.